As the time of the year when publishers usually flex their big-budget muscles gets into full swing, it’s easy to get lost in the hysteria surrounding all the AAA juggernauts hoping to earn your hard-earned cash and forget about the lesser known titles that make up the bulk of game releases over the year. While a lot of people are hanging out for Red Dead Redemption 2, I’m licking my lips at the prospect of finally getting my hands on Call of Cthulhu from Focus Home Interactive and Cyanide Studios at the end of the month. Born out of love for Chaosium’s tabletop RPG of the same name – which itself is inspired by prominent horror author H.P. 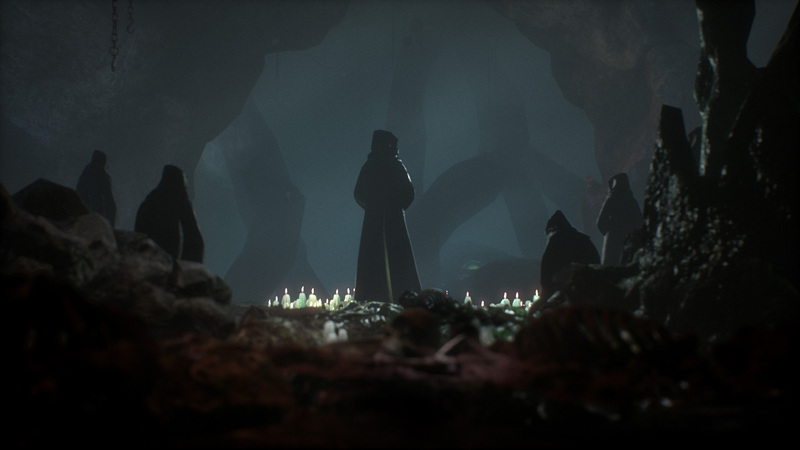 Lovecraft’s short story also of the same name (the genesis of the name in fact) – Call of Cthulhu is hoping to craft an experience that is both unsettling and memorable. We sat down with the game’s Lead Narrative Designer, Pia-Victoria Jacqmart, and Lead Level Designer, Romain Wiart, to discuss Call of Cthulhu’s foundations, design choices and Lovecraftian themes ahead of its launch on October 30. WP: Thank you for taking the time to chat with us about Call of Cthulhu. In your own words can you explain what the game is all about? 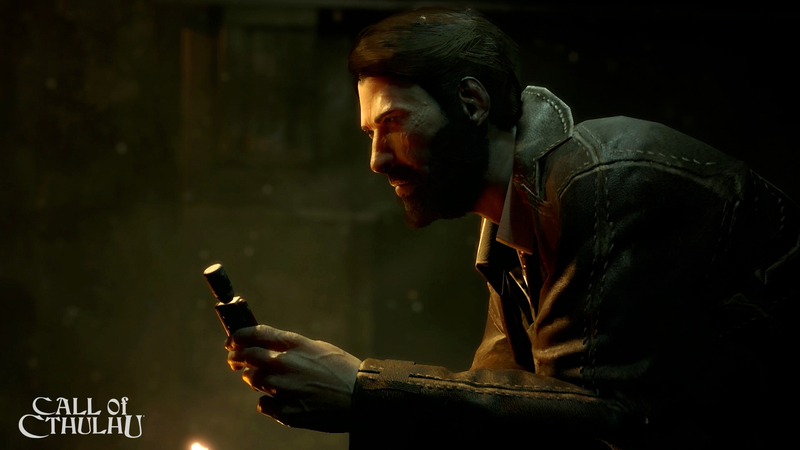 In Call of Cthulhu, you play as Edward Pierce, an alcoholic hard-boiled detective who travels to Darkwater Island to discover the truth behind Sarah Hawkin’s death. She was a painter, well-known for her disturbing paintings. While investigating, the detective uncovers a conspiracy deeply rooted in the island’s history, cultists and, of course, the ultimate truth about fate – which is you can’t escape it! 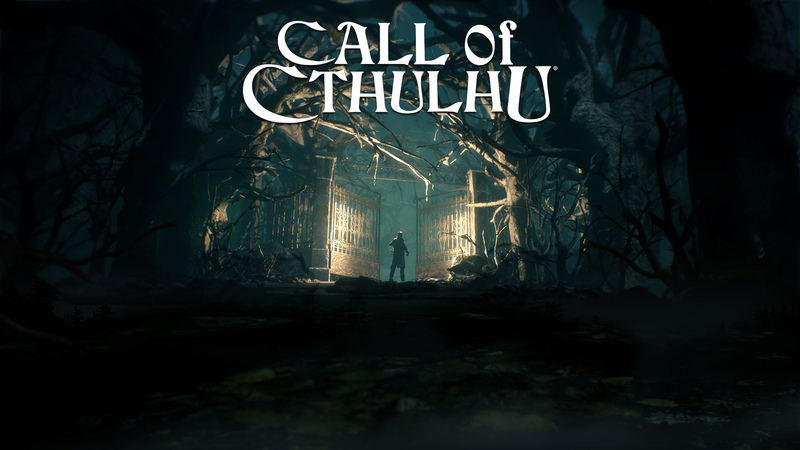 WP: How long has Call of Cthulhu been in development for? WP: The game was initially scheduled to release in Q4 2017 but it was delayed until 2018. What were the major reasons for the delay? And how has the game benefited from the extra development time? We decided to take the time to clarify the identity of the game, to take it in the right direction. We first implemented systemic features, but the player experience wasn’t compelling enough. We wanted the player to feel disturbed, to experiment with the weakness of Pierce. We didn’t want players to be able to ‘gamify’ the systems, least of all to master them. That’s why we decided to go for a more ‘hand-crafted’ game. All maps are different, and that serves the story. Also, the pacing of the game has been highly improved, and we hope players will feel that every chapter has its own flavour. WP: You must be excited for players to finally get their hands on the game on October 30? I know I am excited to play it. Of course we are excited too! After working on a project for so long, it is very difficult to step back, to feel the emotions of a player discovering the game for the first time. We can’t wait to see the players’ reactions. WP: You’ve stated that the game is an adaptation of Chaosium’s Call of Cthulhu pen and paper RPG. Why did you choose this as your primary source of inspiration instead adapting Lovecraft’s short story directly? Focus Home Interactive came to us with the concept of adapting the pen and paper RPG. We thought it was a good idea because it was a great basis for us to make a cool game out of it – we have a lot of Lovecraft fans in the studio. Plus, we wanted the fans to discover a whole new story, not just adapting a story everybody knows. WP: What made you choose the first-person perspective over third-person? The immersion is much more apparent with a first-person view. The player will only see what is in front of them, giving them less space awareness than with a third-person view, thus increasing this feeling of helplessness. As the most important parts of the licence are its atmosphere and the dread all the protagonists will endure, it seemed like the obvious choice. WP: Being a Lovecraftian game, how much effort went into nailing the setting and atmosphere? We wanted to stay true to the typical Lovecraftian setting: a remote and gloomy place and unfriendly inhabitants with secrets. We also wanted to convey his idea of the unavoidable fate. All the different teams (narration, environmental artists, etc) worked together to build a world you will believe in. WP: Is Darkwater Island inspired by any real-life locations? Mark Morisson, one of the most famous scriptwriters of the pen and paper campaigns, wrote an original script for this game. As such, apart from the Easter eggs and references to Lovecraft tales, everything is original. Darkwater is the same. It’s inspired by these ruined whaling stations from the 19th century, as we wished for the game to take place in this remote place, adrift from civilisation. If some place looks exactly like that, we are not aware of it. WP: Being a story-driven experience, how hard was it to balance the story and atmosphere’s Lovecraftian themes? It wasn’t hard at all. Lovecraft left us so many works, and inspired the pen and paper roleplaying game. We had more than enough material to inspire us. Once you understand that you can’t play the easy card (jump scares, fighting hordes of monsters), all you have to do is build the tension. All the elements kind of fit together when it is properly planned. WP: What makes Lovecraft’s works such a good foundation for a video game? I think they are a good foundation for a true horror experience, as we can find inspiration in games like Amnesia for example. The fear of the unknown, the helplessness in front of threats we cannot understand, and cannot flee once we know they are there. In comparison with games where you fight your problems with bullets, it is, in my opinion, a much more frightening experience. WP: Will Lovecraft fans be treated to references to any Great Old Ones during the game? We hid a few Easter eggs and of course, one of the Great Old Ones may be willing to pay a visit. The question is: will you invite him in for tea? WP: What sort of detective is Edward Pierce? Does he have any special talents or abilities? Edward Pierce is a very Lovecraftian character. He is shady, suffers from PTSD and alcoholism, and he doesn’t have some superhuman abilities. He is good at his job, which you can see on the skill menu: Investigation, Hidden Object, Strength, Medicine… these are his only weapons. WP: Some investigation-based games are guilty of too much hand-holding to the extent where it’s impossible to fail. How much assistance will players have? Is it possible to miss clues? We created a story-driven game, so we can’t trap the player and leave them stuck. We acknowledge their choices as they can personalise the character through skills. The information they can get will differ according to his success and failures. WP: Apart from the investigation components, what other gameplay elements can we expect? Investigation is not really a gameplay element of its own. It’s a combination of exploring, speaking with people, and using the character’s skills (to find more clues and better understand them or to persuade people to lend a hand, for example). That being said, there will be encounters with creatures of the mythos and their human servants. These phases will lead to survival phases, where the player has to progress while remaining unseen, or where they have to find a way to repel something or to escape from the materialisation of Pierce’s own madness. WP: Despite Pierce being a war veteran you’ve chosen not to include combat in the game. Why is that? The cosmic horror invented by Lovecraft shows that humans are mere ants in front of the mythos. Just knowing these things exist is unbearable for someone’s mind. We wanted to translate this concept, which is why we did not want any combat mechanic at the core of the experience. This game will not allow the player to fight back the creatures of the mythos with sheer violence. It’s not like you can get rid of an Old One by shooting him in the face. WP: Can Pierce be attacked and killed by the horrors that lurk on Darkwater Island? Of course – but that’s not the worst of it. WP: Tell us about the game’s world. Is it an open world in the sense that if a player misses clues at an earlier area, they can players backtrack and search for missed clues? Or is the game on a fairly linear path? The player will progress linearly from chapter to chapter. Some chapters are very open, presenting various methods that the player can exploit to achieve Pierce’s goal, depending on exploration and the level of skills to find hidden things, clues and passages. It might also depend on how the player manages to talk to locals, and the level of Pierce’s skills to persuade, intimidate, or understand things thanks to psychology. While other chapters are more linear as they are more focused on a very story-driven experience, or a survival phase than on an investigation phase. We tried to make it so the game experience would shift from phase to phase regularly so the player never has a feeling of repetition. WP: Players will have multiple dialogue choices when interacting with other characters, will these choices have any long-lasting consequences? Yes. The interactive dialogues are used to allow the player to progress through the game, to express Pierce’s personality, or to process the various information he will gather along his investigations. They are a very important gameplay mechanic. As such, they heavily affect the player’s experience because they are full of dilemmas. How will you talk to people? Will you choose truth over sanity? They can even affect his destiny! WP: With the rising popularity of multiplayer games and some people saying that single-player games are dead, how important do you think single-player games are to the future of the industry? Do you think they’ve had a bit of a renaissance over the past year? To properly answer to that question, you must consider video games as a form of creation. Cinema was once a meaningless entertainment. When L’Arrivée d’un train en gare de la Ciotat was released in 1896, it was praised for its technical achievement, not for what it told about life. Because, obviously, a 50-seconds-long static shot of a train’s entry in a station didn’t tell a story. Little by little, as cinema progressed, its stories became more complex, subtle, and realistic. Nowadays, we can watch movies about every subject of life, even if they choose fantasy to express them. Video games are experiencing the same development. Multiplayer games are supported by huge communities, the progress of the esports scene, and technological advances, but the audience will always need good story-driven games, and what better medium to tell them than the very one that gives you the opportunity to be the actor of these stories? So you see, single-player games will always exist, and they will benefit the maturation of the developers on the narrative aspect. WP: Tell us a bit about the skills system. How will these affect the gameplay? How are skills or skill points obtained? Can players choose to specialise in one skillset while ignoring the others? The player gets skill points by investigating and progressing through the story. Like in the classic RPG, there are dice rolls. The more you invest your points in a skill, the more chances of succeeding the dice roll. WP: You’ve mentioned in a previous interview that one of the points of the game is to see how much of Pierce’s sanity can be salvaged. Does this mean we could see different endings? WP: How long will it take approximately to finish the game’s campaign? According to our playtests, around twelve hours. WP: What sort of resolutions are you aiming to hit on consoles and PC? 1920*1080. The game will support the PS4 Pro and the X1X. WP: Part of Lovecraft’s short story takes place in Australia. Are there are references to Down Under in Call of Cthulhu? No. We chose to set the game off the coast of Boston. WP: Thank you for your time. Best of luck with the game’s launch on October 30. 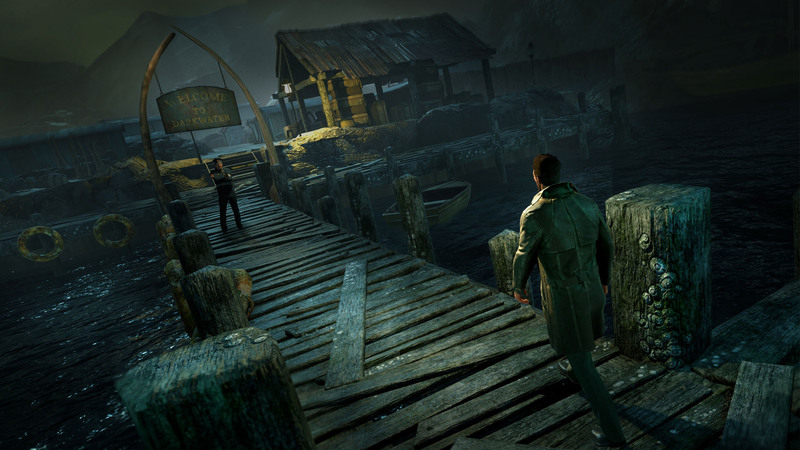 Call of Cthulhu will launch on October 30 on PC, PS4 and Xbox One. You can find out more information on the game’s official website.